Here is the latest news on updates for the Cliff Richard Song Database as well as other interesting bits of Cliff Richard news from time to time. It's not really a Cliff Richard news site so don't come here looking for the latest news (although I do my best to stay current). To get the real news, I recommend The official Cliff Richard website or the Leo's Den Music Direct site. I finally added all the information for the new Bonnie Tyler duet with Cliff called Taking Control (2019 #1). There's a bit of a question about the release date which I will sort out soon. Hi all. There continue to be small corrections in the details (thanks Brian and Chris), but there was an interesting addition today. The Rick Parfitt duet from a Greenbelt concert in 1981 has finally been identified (and somewhat officially released?) as a cover of the Buddy Holly song It Doesn't Matter Anymore so I've updated the entry from "unknown title" to this one (1981 #60). I had been told it was an unknown Everly Brothers cover, but with proof now, we know that ws incorrect. Also, for those interested, I've finally filled in all the detail for the 60th Anniversary Concert DVD release. Hi all. I have added several new entries to the database over the last few weeks. Most are in relation to releases on Cliff's official YouTube channel. They are too numerous to mention here, but two of note are the strange video edits for the new songs Rise Up and Reborn (2018 - #4 and #6). Very weird that these are only samples of the songs. Why not full videos? Also of interest are three live acoustic permances on a Tearfund video called (1987 - #28 to #30). I'm still working my way through Cliff's YouTube releases so there are still a few more to go there. Hi again! I finally had a chance to review my USA issued Green Light 7" single as the running time showed something shorter. Sure enough, the USA single version (both stereo and mono (on the promo)) are shorter than the UK single version, cutting the guitar intro altogether and starting with the drum part. These are at 1978, #43 and #44. Meanwhile, I continue to add "releases" from Cliff's YouTube channel, including the May 22, 1960 broadcast of Ready Teddy with Adam Faith from The Royal Variety Performance of that year (and the still unreleased performance of Living Doll). These are at 1960, #113 and #114. Quite a few new changes to the database recently. First off, I added all the songs for Cliff's 60th Anniversary Concert DVD due in November. I will fill in more details as they become available. I also added information for Cliff's new digital single, Reborn (2018 #4) on both the main page and the UK singles pages. I've also continued to add more releases from Cliff's YouTube channel-- most from the 1961 Cliff series (too many to mention here), but one notable addition from here is the 1973 The Royal Variety Performance show of Living In Harmony, Travellin' Light, Take Me High and Power To All Our Friends (1973 #52 to #55). Lastly, I was adding the songs for DVD release of The Dame Edna Experience - The Complete Series which featured two songs: Some People and I Could Easily Fall (In Love With You) when I noted that the performance of Some People is mimed. Therefore, I removed it from the main database as a unique entry (1987 #28) (although it's now listed as a release under the single/album version of the song. Hi all! I added the new DVD of 60th Anniversary Concert to the main page. I'll add all the tracks to the main database when the songs are confirmed. This was just broadcast in cinemas, so they got it out quick! It's exciting to see a lot of new material from Cliff as it's been far too long. I'm still trolling through Cliff's YouTube channel, adding songs where available. These include: the Jill Browne duet of Goodness, Gracious Me (1961 #51) on the Cliff TV show, The Vernons Girls duet of Rosalie (Come Back To Me)/TV Hop (1958 #26) on Oh Boy!. I also removed the previous entry of the unknown Jill Browne duet (1961 #9) as this was believed to be a reference to the performance of Goodness, Gracious Me from this series. Apologies for taking so long to get these in the database, but it's a rather exacting and time consuming process so I'm just taking them a few at a time to be sure I get it right. I just added a stereo version of the undubbed version of Since I Lost You which is on the Canadian issue of the stereo It's All In The Game (Capitol ST 6067) LP. This entry is 1962 #50. The mono issue was already noted in the database, but not the stereo version. I have not 100% confirmed this version, so if someone can corroborate it, I would appreciate it. 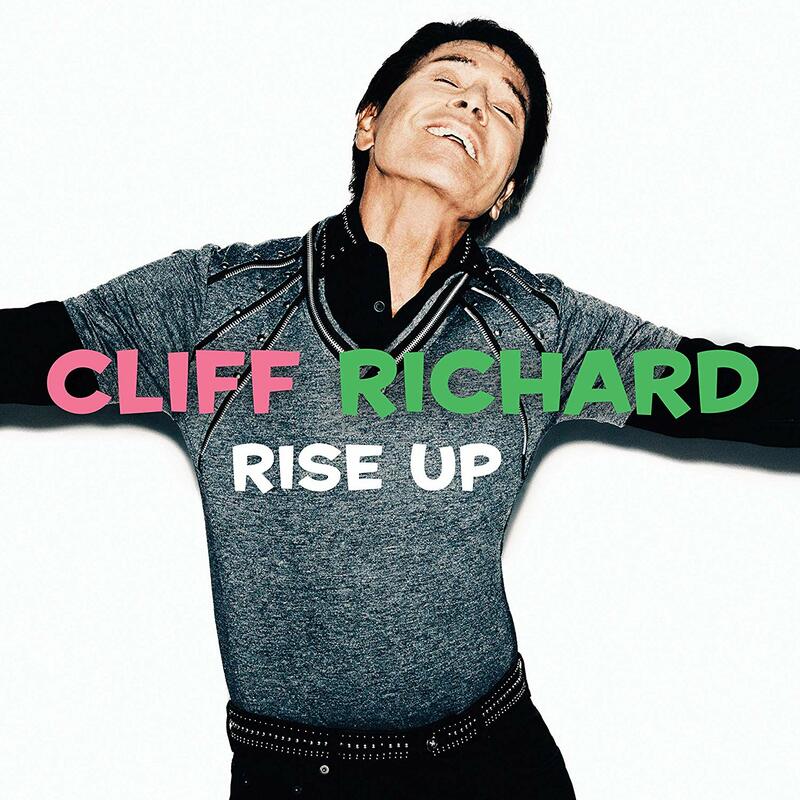 I recently added all the known information on Cliff's upcoming releases of the <Rise Up album and singles (all new songs!) and the new Cilla with the Royal Liverpool Philharmonic Orchestra album which features Cliff on the song You're My World. These are, of course, all new entries for 2018. Lots of new and exciting things going on and I'm looking forward to hearing something new from Cliff. Hi yet again. Exciting times in the Cliff World. :-) Cliff has a new YouTube channel which is releasing several previously unreleased tracks, particularly some TV performances (some of which have not been seen since the 1950s!). I've started adding these to the database as recent releases. Wasn't sure how I should handle them, but as they are through an official channel, I'm considering them official releases, even if just YouTube/streaming only. (Would sure love to see the complete TV shows released on DVD or even digital download some day as clips only are not ideal.) It will take me a bit to add them all but for now I've added TV performances from Oh Boy! on November 15, 1958 (1958 #25), What'd I Say from Val Parnell's Saturday Spectacular on March 19, 1960 (1960 #110), Twenty Flight Rock from Val Parnell's Saturday Spectacular on May 21, 1960 (1960 #112), and I Wish I Were In Love Again from Cliff (the TV series) on March 9, 1961 (1961 #36). More to come! Hi all! There is a new Cliff album and single! The digital single, Rise Up was just released on August 29 and the album of the same name will be released in November 23. There will also be a collectible 7" single out of the new song out on October 12. So all this was added to the main landing page and all new songs were added to the database (2018 #2 to #17) in anticipation. I'm really looking forward to this! Removed Cliff and The Settlers songs Nowhere Man, Blowin' In The Wind, and Very Last Day from the 1968 TV broadcast (1968 - #54, #57 and #66). These songs were performed by The Settlers alone and did not involve Cliff. (Thanks, Chris!) I also removed the 1972 It's Cliff Richard songs The Night They Drove Old Dixie Down and For All We Know (1972 - #13 and #51) as these are apparently performed by Olivia Newton-John only. I also added the song from the series of Baby It's You (1972 - #18) as that one is a duet with Olivia. (Thanks again, Chris!). Unfortunately, although an audio bootleg of this series is available, I don't have it for review. If anyone has it and is willing to share, please contact me! Another interesting change was just made. All references to I'm Looking Out The Window and Do You Wanna Dance have been changed to I'm Lookin' Out The Window (with the apostrophe) and Do You Want To Dance. I always strive to use the original spellings for the songs where possible. The song I'm Lookin' Out The Window first appeared on the B-side of Peggy Lee's 1959 Hallelujah, I Love Him So single and used that spelling. The song Do You Want To Dance by Bobby Freeman was a bit more difficult as various releases by him of this song varied the spellings, including adding a questions mark at the end. Looking at the original 1958 single on Josie Records, the spelling is now confirmed. Another few small updates. I added the mono versions of Living In Harmony (1972 #69) and Green Light (1978 #43) from the USA promo singles. And I added a reverse stereo version of A Voice In The Wilderness (1960 #5) from the 2010 Just About As Good As It Gets! CD. More soon. And I just added the rest of the 1990s TV show songs to the main database. These include songs from the 1994 Cliff Richard's Celebrity Tennis (1994 - #49 to #56), Ray Martin Presents (1995 - #2 to #9), and the 1995 The Cliff Richard Pro-celebrity Tennis Tournamen (1995 - #70 to #79). So with this done, I'll be working on the TV Series and Specials page for the 1996 and later TV shows. Added a few more tracks to the main database from the TV shows that were recent added to the TV series and specials page. These include an edited version of Carrie as heard over the closing credits of the 1994 The Hit List documentary released on VHS videotape (1979 - #13). More significantly are serveral concert performance edits from the 1993 The Story So Far documentary released on VHS videotape. These include an edit of Wired For Sound from the Rock In Australia concert (1984 - #78); Willie And The Hand Jive, Human Work Of Art and Peace In Our Time from the 1992 Access All Areas: The Tour 1992 concert released on VHS videotape (1992 - #65, #72 and #77); and finally previously unreleased performances (excerpts only) of Why Should The Devil Have All The Good Music and Saviour's Day from Cliff's 1993 An Evening With Cliff Richard tour (1993 - #3 and #9). I've got a few more songs from recently TV specials to add to the main database, then I'll get back to continuing work on the TV series and specials page. I also added all the tracks from the Stronger Thru The Years database. Hopefully I got all the mono/stereo stuff correct. Hi all! It's been a while, but I have been busy with a few odd things behind the scenes (adding a lot of non-vinyl release data to the database-- thanks Brian!). I did just add two new unreleased concerts from TV broadcasts to the main database. These are songs from the From A Distance - The Tour 1991 broadcast (1991 - #39 to #73) and the Live In South Africa - The Platinum Hit List Tour broadcast (1995 - #2 to #34). I'll be adding a few other items to the main database from data I've added from the TV series and special page, then continue on that page for the rest of the 1990s. I also added all the tracks from the new Stronger Thru The Years compilation. It's a nice enough compilation, but it doesn't bring anything new to the table. Added the new information for Cliff's new Stronger Thru The Years compilation to the main page. As soon as I get the album in hand and can cofirm the versions, I'll added it to the main database. Another small update. Added the "live" version of Cliff and Helmut Lotti singing Danny Boy that was released on the Helmut Lotti Pop Classics In Symphony DVD (2003- #39). This appears to be the same recording as the studio recording, possibly dubbed over the live performance, with audience cheering added, but that is unconfirmed. There is some news that Cliff may have a new album out in 2018 as well as another "Greatest Hits" compilation. Details are uncertain at this time. Added a new entry for a 2009 remix of Cilla Black's Imagine (2009 #29). This was a remix of the original 2003 version, with different instrumentation and louder vocals. Cliff's vocals are really clear on this version. As far as I can see, this is only available on download, unless you know different? Just seen this Robert, thanks for info and well discovered. Yet another purchase to make! How did you spot it though? Hi again. I just added a few new songs that Cliff is only known to have performed live. They are: Let's Dance (1998 #61), When My Heart Stood Still (2001 #25), She Was Too Good To Me (2001 #26), and where Or When (2001 #27). This is to record songs that Cliff has not otherwise recorded in a studio. One of these days, I would hope to do some tour pages and fully document these live only performances. Also note that for the 2001 standard songs, it is known that Cliff started recording an album of standards around this time in a studio, but abandoned the project for unclear reasons. It's possible that he has recorded some of these songs in the studio. Hi all. I just added a couple of new entries in the database-- mono releases of Goodbye Sam, Hello Samantha and You Never Can Tell (1970 #76 and 1968 #129 respectively). These were apparently released on the Australian and New Zealand issues of the single. I hope to have the CD with the song with The Piano Guys in hand soon and will add the details as available. Added a bit more information about the new song, (It's Gonna Be) Okay, to the main database and added a new entry on the main entry page. Also, the Barratt Waugh songs I had in 1999 were moved to early 2000 (#2 to #6) as new information revealed that Cliff recorded his parts for these songs in February 2000. Hi all. Just updated The Piano Guys duet. It's a song called (It's Gonna Be) Okay and it sounds like it's going to be a new single out in May of 2017. A few more updates as of late. First off, I added two songs performed by Cliff and released on the Compassion Has A Heart VHS tape in 1993, taken from Cliff's trip to Uganda for Tear Fund (1993 #1 and #2). Second, I finished the entry for Cliff Richard Live In South Africa - The Platinum Hit List Tour on the TV series page. I'm almost done with the TV entries on this page up to the end of 1995, but I've been made aware of a few additional programs in the 1980s that I missed and will go back to add those first. Finally, I added an entry on the UK singles page (page 3) for the download only reissue of Cliff's Santa's List singles. This is a very curious release and it's unclear why it was released when it was (in February 2015) and in the form that it was (similar to the CD singles). I just added the mono versions of the His Land tracks (1970 - #142 to #154) that was released on the movie's VHS and DVD. I've not had a chance to check if there were any movie variations compared to the album, but when I do, I'll add those comments as well. Also, I have moved all the 40 Years Of Hits promo mixes and moved them from 1998 (when they were released) to the end of their respective years. It's too many to list here everything that moved. This 40 Years Of Hits promo CD gathered together nearly all of Cliff's singles over the years (there were a few missed) and put them into short medleys of a portion of each song for each year (although again, there were a few mistakes). I felt that it worked better listing them in the year of the single releases, rather than 1998. I just added promo edits of Good News (1967 #57) and Questions (1967 #115) that appeared on some promo EPs in 1967 and 1973 respectively. [Thanks, Chris!] Also added the performance of Money (That's What I Want)/Mr. Business Man from the Ohne Filter Extra TV show (1987 #32). Somehow I had missed that track on the first review. And finally, the unreleased Frankie Miller duet has been identified as Lost Along The Way, but still remains unreleased (2015 #17). Several new updates were just done. These include the recording performance detail for the Just... Fabulous Rock 'n' Roll (LOVE this album) as well as the new It's Better To Dream (Christmas Mix) (2015 - #16). I'm pretty sure this was done back in 2015 and only just now getting released, but if I learn otherwise, I will update the listing. I've also continued to work on the TV series and specials page. I had to go back and add entries for The Video Collection and Live & Guaranteed 1988! as well as a few other small bits. Now working on the 1995 and later shows. This page has been a long process. Finally, there is news on Cliff's newest album, now entitled Just... Fabulous Rock 'n' Roll. I kind of supect that the change to Sony made the title change from The Fabulous Rock 'n' Roll Songbook Vol. 2 ad I suspect the Elvis Presley duet was the reason for the change to Sony. I know nothing for usre. Anyway, I've added entries in the database for the tracks from the upcoming album (2016 #1 to #15) and an entry about it on the main page. I will fill in details as they become availble. There's going to be a single release of Roll Over Beethoven, but no word yet on if there's going to be a physical single (which I doubt) and I suspect it's just a teaser until the album gets released (when I expect the Elvis duet to be the big single). Exciting times for Cliff! I look forward to the album as it's been too long. Added and entry for an unknown title of a duet that Cliff recorded with Frankie Miller (2015 #9). Cliff mentioned this in a 2015. The Frankie Miller duets album called Double Take is to be released on September 30, however, it appears that the Cliff duet is not on the album. Thus the entry in the database is "Unknown Title". Hi all! I know it's seemed kind of quiet around here, but I have been busy fixing up the TV pages and adding more quotes from various sources. I did to a bit of shuffling in the database, based upon record dates-- Moved the Helen Hobson duet of If Ever I Would Leave You from 1996 #1 to 1996 #12; moved the Claudia Jung Christmas duets from 1996 #2  to 1996 #13 & #14. Both of these were recorded later in the year, just before Cliff started on the Heathcliff live shows. Also moved the live Hank Plays Live version of Move It from 1997 #1 to 1995 #27. I got the original 1997 date based upon release date, but more information came to light later that it was performed much earlier. Added an edited single version of the song You Got Me Wondering (1977 #6). I had to do a lot of research to figure this one out (and special thanks to Chris for persisting on having me take a closer look at it). Because the running time on the 1993 Never Let Go single was the same as the 1992 My Kinda Life album (both having an early fade compared to the original 1977 album version), then I assumed they were the same 1992 remix. As it turns out, they are not! The version on the Never Let Go single is the same as the original Every Face Tells A Story album, but with an early fade that coincidentally matches the fade out of the My Kinda Life remix (but for perhaps a brief second at the very end of the fade). And with my analysis, I added a nice sound sample to the details for the My Kinda Life version (1992 #10) that demonstrates the subtle remix. Also on the TV series and specials page, the entry for The South Bank Show is now complete. I'll be adding a few of the pro-celebrity tennis tournaments soon, which should be a quick addition, then I'll be working on the televised edition of the Access All Areas concert at the end of 1993. Another small update. Changed the stereo version of The Time In Between to split stereo (1965 #22). Added newly discovered split stereo versions of Wonderful Life and In The Stars (1964 - #22 & #42). Thanks Chris! Did a few updates (thanks to Chris and Brian). Added the edited undubbed version and alternate-take-stereo-reduced-to-mono version of Now's The Time To Fall In Love found on some of the out-of-copyright CDs (1960 - #86 & #88). Also added a reverse stereo version of Time Drags By on the French Congratulations To Cliff collection (1966 - #30). And finally, it was sorted out that the unidentified performance of When I Survey The Wondrous Cross from the Rare And Unseen DVD was from the March 27, 1979 episode of The Pop Gospel Show; therefore the song was moved from an unidentified 1978 entry to the beginning of 1979 (#1). Added the version of Faithful One that Cliff sang at Cilla Black's funeral (2015 - #10). Beautiful and touching performance. Also, on the TV series and specials page, I added the 1991 Together With Cliff Richard special. Little by little, this page is getting done. Added several songs to the main database pages from the TV series and specials page. It's too many to list by song individually, but they are: songs from Ohne Filter Extra (1987 #30 to #41), songs from Sporting Allstars (1984 #82 & #83), songs from the 1985 Cliff Richard Pro-Celebrity Tennis show (1987 #42 & #43), songs from An Evening With Cliff Richard (1989 #3 to #9), songs from Eddie Skoller (1989 #93 to #101), and finally songs from the 1990 Christmas show Cliff At Christmas (1990 #21 to #28). I've got a few more things to clear up and then I'll be back on to adding to the TV series and specials page. Another small update. I added an unidentified TV show to the TV series page of the October 1967 Japanese concert. This was released in 1968 as the Cliff In Japan LP, but there is evidence that it was broadcast on Japanese TV as well. Hi again! I added a link to the main page for the new Expresso Bongo Blu-ray and DVD coming out in April. Nice to see this getting some attention! Did a small update to the database, adding the missing Shadows songs from the Together - Cliff Richard & The Shadows 1984 videotape as "Unreleased". Not really Cliff, but they were part of the concert. These are at 1984 between #17 and #22 inclusively. I've also been hard at work on the TV series page and have completed all entries up to the end of 1990. Hope to be adding songs from these to the main database soon. I've also done a lot of work on tracking the details for Cliff's pro-celebrity tennis events and added a table about it to the end of the TV series page. This is just a temporary table to help identify and track this information and I'll be finding a permanent home for it soon, perhaps on its own page. Finally, I've now been able to properly start my review of the 75th Birthday Tour DVD. This will cause a few changes to the entry in the database as soon as I'm done. Hopefully very soon. I've been hard at work on the pro-celebrity tennis events. For now, they are detailed at the end of the TV series page, but this is just a temporary measure until the information finds a more permanent home. I'm also adding them into the TV series as regular entries, having completed the 1984 airing and started work on the 1987 airing. Thanks to Brian and Chris for input on this area. Meanwhile another small, trainspotting change to the main database-- I changed the title That's Alright Mama, from the Elvis cover from the 1992 Access All Areas concert, to the correctly rendered title as That's All Right (1992 - #52). I was able to confirm that the versions of Barratt Waugh's Lucie on the Short Stories album in 1999 do not feature Cliff on vocals. So the original release was in late 2000 on the I Love You Goodbye album. This also makes me rethink whether these Barratt Waugh songs belong in 1999 or 2000. I'll ponder that and maybe move them. Also, I have completed the entries for Cliff's TV broadcasts of The Event concert on the TV page. I'm working on Cliff At Christmas now. Okay, I've adjusted the version of Barratt Waugh's song Lucie in the database (1999 - #33 to #36) that features Cliff on backing vocals. Basically, I had to do a lot of digging (with much assistance from my friend Chris), and I've sussed out some interesting things about this song. First, there is an album version, running 4:26 that was originally released in 2000 on the I Love You, Goodbye album (and possibly the Short Stories album (Detour label) a year prior with the marking as "long"-- still trying to sort that out). This also appeared later on the 2004 Much Love reissued album (same album, different label (BNW Records) and title) as well as the the promo CD single put out in the UK (labeled as the "Original Version"). So that's four releases of the 4:26 track on three albums and a promo CD single. Then there is a shorter, edited version, running 3:10 (with edits to be determined in detail later). This version appeared on the 1999 Short Stories album marked as simply "short" (to be confirmed!). It also appeared on the 2000 French CD single, labeled as the "single version", which contains both this short version and a French language version that does not feature Cliff on backing vocals. Curiously, the BNW Records promo CD single put out in the UK in 2004 that featured the 4:26 also contains a 3:10 version labeled as a "radio edit" but this is not the same edit-- rather, it completely mixes out Cliff backing vocals. Therefore, the only releases of the 3:10 version that have Cliff on backing vocals are the Short Stories album (to be confirmed!) and the French CD single. Lastly, there is a German CD single put out in 2000 on Detour that contains two versions labeled as "radio edit" and "original version" and running 3:09 and 4:26 respectively, but they are actually not the same as the other versions! Instead, they are remixed having added keyboard and drums throughout. Thus, they are completely unique to this CD single. This now makes four different versions of the song with Cliff's involvement, two long versions and two short versions, but they are marked on the various releases in confusing ways. All this is, of course, detailed in the database now. And again, it should be noted the version on the 2004 BNW Records promo CD has a fifth version labeled as "radio edit" that is a unique edit that does not feature Cliff at all. Whew! Took a while to sort all that out. Well done Robert (and Chris) on this, interesting stuff. Guess I will now have to go and check my collection and maybe go out and spend more money! I just added the radio edit of Barratt Waugh's Lucie which features Cliff on backing vocals. Seems that this 2000 song was released in the UK as a promo CD single (and probably a download single) in 2004 to promote the rerelease of Barratt's album. Exactly how the song was edited will be determined as soon as I get the CD single in hand, which I just purchased off of eBay. There may be more variations between the "album version" on the promo CD, but I'll have to determine that when I get it in hand. I also started adding the TV broadcasts of The Event concert to the TV series page. I'm finding a few interesting things about this broadcast. I got some new information that on the film version of Lessons In Love (from The Young Ones) where Cliff did the female duet was actually with singer Patti Brook rather than actress Carole Gray as I had assumed. So the singer credit was changed on the entry (1961 #158). Patti is the singer that recorded Cliff's song I Love You, I Need You around the same time. Patti was uncredited for this song in this film, while she also apparently declined to sing any more songs for the film. It's still believed that Carole Gray did the duet with Cliff on Nothing's Impossible in the film. I also added all the songs for the upcoming 75th Birthday Tour DVD (2015 #10 to #38). Details will be added as soon as the DVD is in hand. Reports of Cliff's 75th birthday celebrations sound fantastic! I just added the new 75th Birthday Tour DVD to the main page. I can't wait to see it and hope they leave in every second of it. I heard he had to perform Rip It Up twice because there was a mistake on the first attempt. I understand if they don't leave this in the concert DVD, but I'm hoping they even leave it in as bonus material. I'll be adding the songs from it to the main database as soon as soon as I confirm the track listing. Well, I finally added all the tracks from the new 75 at 75 compilation in the "released on" sections for each song. I also added to the database a unique song that Cliff performed on his 30th anniversary tour in 1988, a cover of Gerry Rafferty's Get It Right This Time (1988 #38). One of these days I'd really like to do some extensive pages on Cliff's tours, but for now, this should do. BTW, I've also started working on the TV Series and Specials page after a bit of a stall, so expect more updates on that soon. The big news is Cliff's new single, Golden. I've added this to the database (2015 - #9). After a fair bit of research, I've concluded that this is the same recording as the 2008 Time Machine Tour - 50th Anniversary DVD, but with a bit of new vocal edited into the existing recording and the audience cheering noises removed. Also, after a bit of a pause, work has picked up on the TV series page again with the 1987 Ohne Filter show being added (with more details to be filled in). I saw that, but a comparison of this and the Time Machine performance is a very near perfect match-- even to the point of phasing. Having said that, I'm open to the idea that it might be a new recording anyway, but simply a near perfect match. I'm going to do some more analysis and change my conclusion if I find it necessary. Hi Robert, according to Cliff's office, Golden is a completely new recording. Vic. Added more TV song entries to the main database, from the 1985 Rockspell and 1986 Cliff From The Hip TV specials. There are too many songs to mention here, but they are in the database at 1985 #7 to #17 and 1986 #23 to #32. Now that this is out of the way, I will be getting back to the TV series and specials page. I also added an entry for an edited version of Cliff's song Maria No Mas (1963 #58), which edits off the short guitar bit at the beginning, starting directly with the opening vocals. Thanks for this one Chris! Removed the "studio" version of Under The Gun (1987 - #16) that is on the B-side of the My Pretty One 12" single. It has been confirmed that this is not actually a studio recording, but the version from the 1985 Rock In Australia videotape from the November 1984 performance in Sydney, Australia. There are a few more small updates. I added a reverse stereo version of Razzle Dazzle (1962 - #121) as well as moving the still unidentified Rick Parfitt duet from 1983 to 1981 (#59) after it was confirmed as having been done at the August 24, 1981 Greenbelt concert. I was there Robert at the concert, but can't remember the sons Cliff and Rick sung, did hear a rumour it was an Everly Brothers melody,but can't confirm that. Added a few more tracks. These include a reverse stereo version of the extended version of Oh Señorita (1966 - #40); apparently the first release of this version in 1996 on the Cliff Richard At The Movies 1959-1974 had the stereo channels reversed, but it was corrected for the 2005 Finders Keepers remaster. Also added was the 1966 London's Earls Court performance of What A Friend We Have In Jesus (1966 - #23), which apparently doesn't get as much play as the first song he performed at that appearance (It Is No Secret). Most exciting is the addition of several tracks from Cliff's upcoming rock 'n' roll album, of which snippets were recently played on the on the Time Out With Phillip Silverstone show. Too many to list there, but these are all at 2015 from #1 to #8. Most exciting is the duet with Elvis Presley of Blue Suede Shoes. Looking forward to the new album and the other eight unknown tracks. Keep On Rockin' Cliff. Added a single version of Saviour's Day (1989 - #80). It was discovered that the original From A Distance ***** The Event album version contains a unique and quiet keyboard/drum intro, which blends into the start of the song. Most release are of the single version only. Also added a remix of the extended stereo version of It's All Over (1966 - #62). This is the same as the original stereo version, but it's significantly remix to blend the separated channels. For instance, the guitar intro on the original mix is in the left channel only and the strings throughout oare on the right channel only, but on this new mix, they are blended across channels. Hi again. A few more updates, including reverse stereo versions of Love (1960 - #11), Peace In Our Time (1992 - #15) and Had To Be (1995 - #9). I also spotted that the version of Little Town on the Dressed For The Occasion remaster album was actually the song and the reprise, all tracked as a single track; therefore, I split the track in the database and added the Little Town (Reprise) (1982 - #62). I added several more reverse stereo songs. [Thanks Chris!] They are: the 2-on-1 version of I Love You So (1960 - #68), Do You Remember (1964 - #48), Never Say Die (Give A Little Bit More) (1983 - #15) and Baby You're Dynamite (1983 - #23). More to come! Hi again. Another few updates of the reverse stereo tracks were done. These include The Shrine On The Second Floor (1960 - #16) on the Just About As Good As It Gets! album and Visions (1965 - #116) and Somebody Loses (1966 - #5) both on the Congratulations To Cliff album. I updated and added several tracks for the Dressed For The Occasion album. There was a promo banded LP made specifically for radio that faded in and out each of the tracks, unlike the original album. There was also a Spanish single for Devil Woman from this concert that had a unique fade arrangement. And then there were a couple of unique edits from the TV broadcast. These are all under 1982, #26 to #61. Also, on the TV series and specials page, the entry for the 1986 Cliff From The Hip special is complete. Meanwhile, I'm working on adding the Cliff From The Hip TV show to the TV series and specials page, but it's still a bit rough at the moment. I've also been doing an analysis of the various releases from the Dressed For The Occasion concert, so I'm surely going to be doing a bunch of changes to that soon too. Finally, I continue to improve the TV guest appearances page with most entries up to 1998 entered as best as is known. Special thanks to Brian for helping out with this. Thanks to another fans hard research, I'm adding a lot more of the reverse stereo versions which I'd not found before. Seems that the 2002 remaster of the Love Is Forever album flipped the stereo channels for most of the songs! As such, these are now unique entries in the database as reverse stereo. Track include: Fly Me To The Moon (1961 - #223)I Found A Rose (1962 - #129)(All Of A Sudden) My Heart Sings (1964 - #101)My Coloring Book (1964 - #104)Look Homeward Angel (1964 - #107)Everyone Needs Someone To Love (1964 - #133)Through The Eye Of A Needle (1964 - #136)Paradise Lost (1964 - #139)Long Ago (And Far Away) (1965 - #26)Have I Told You Lately That I Love You (1965 - #29)Theme From 'A Summer Place' (1965 - #49)My Foolish Heart (1965 - #52)I'll Walk Alone (1965 - #55). Also added a variant of 1982's True Love Ways that first appeared on the 1998 Australian 40th Anniversary Complete compilation with audience cheering noises added to the beginning of the track and slightly obscuring the opening lines. Curiously, this version has appeared on all subsequent releases, supplanting the original verison. I've made another minor change. For the songs on the 1997 Silver Celebration album (From A Distance, There's No Power In Pity and When I Survey The Wondrous Cross), I'd had them listed as performed on October 21, 1997 as part of the The Gospel According To Cliff performance. It turns out this is not correct and these songs were instead on the June 21, 1997 concert which was done as the 25th anniversary concert for the All Souls Orchestra. It was confusing me because the All Souls Orchestra were used at both concerts, they were both at the Wembley Conference Centre, and they had a similar setlist. Now that I know they are different, I separated them out in the database as separate entries. (1997 - #28 to #48). Hi again. I did a few more additions, adding the reverse stereo versions of Two A Penny (1967 - #38), Congratulations (1968 - #3), Ah! Quelle Histoire (1968 - #46), Je Suis Formidable (1969 - #38), Relève Mon Defi (1968 - #40) and Goodbye Sam (Das Ist Die Liebe) (1970 - #102). It seems that much of these came from the 2007 French issued Congratulations To Cliff CD. Investigations continue so there may be more. Special thanks to Chris for finding these. More additions to the TV guest appearances page, but too many to mention here. Mostly up to about 1992. Special thanks to Brian. My work on the TV specials page continues with a rough draft of Cliff's 1985 Rockspell show added to the page. A few notable updates were just done. First I added the reverse stereo version of Sag 'No' Zu Ihm (1964 - #15). Several more reverse stereo discoveries are being made and may be added soon. Thanks Chris! I added an entry on the TV series and specials page for the 1983 BBC broadcast of the Cliff Richard At The Royal Albert Hall concert (aka the Dressed For The Occasion concert). Hope to get to a few subtle variations in releases of tracks from this concert soon. I also added a couple of entries for the very little known Cliff Richard Spezial shows on German TV. As near as I can tell, the Rock In Australia concert from this era was never broadcast on TV so I don't think I'll add it to the TV page. Will be adding the Cliff and The Shadows Together reunion concert next. And finally, I finished my review of the 2008 Steve Turner book called The Bachelor Boy and added quotes from it to the song comments in the main database. Unfortunately, Steve did not accurately cite where nearly all of his quotes are from so I have put them down as being from 2008 which is probably quite inaccurate. Hi Robert, I finally started compiling a list of old albums that I've had from the 60's, and found a reference to the album Epic LN 24063 on your site. It's the 'Hits from the Original Sound Track of Summer Holiday. I must have bought it when I lived in Seattle during the Elvis/Beatles era. I live in Alberta now. I noticed that you don't have a photo of this album in collection. Could I send it to you - either the photo or the album? I know it's been a while, but I have been busy behind the scenes. There have been many updates to the Guest Appearances page-- far too many to mention here. Many thanks to Brian for all his hard work on this. I did a bit of tweaking on the live tracks from the Bold As Brass DVD/Blu-ray and added entries 2010 #3 to #6. These are the bits of rehearsals heard on the bonus material with a really nice little bit of Cliff working out Ev'ry Time We Say Goodbye. For a very minor update, I also changed the title of the unreleased Lord, I Love You to Lord I Love You (1978 #75), removing the comma. Perhaps it's pedantic, but the officially released Dave Pope version doesn't use the comma so all versions should be the same. Finally, on the TV series and specials page, I've been updating several entries that were missing or incorrect before 1981. This includes the completion of the 1968 Cliff At City Hall entry and the 1976 Eddy Go Round special. I also decided not to add the Seaside Special show to the TV series/specials page because it wasn't really a Cliff vehicle but a regular show with Cliff as the star artist from the UK. I've added it to the guest appearances page instead. Also, I am currently adding to the TV series and specials page entries for the 1978 Flip Side special (reversing my earlier decision not to do so) and the German TV show from 1977 called Musik Extra 3. More as I get it done. Found a bit of information that the gospel song Cliff has performed (and recorded in a studio but not released) called You Can't Get To Heaven By Living Like Hell is correctly titled You Can't Get To Heaven (Living Like Hell), therefore I changed all references in the database (too many to mention) to it. Updated the TV series page to list the full Cliff Richard At City Hall program which is now apparently available. I'm also experimenting with adding YouTube links for easy reference. Let's see how that goes as these videos are not on my channels (I don't have any) so are not under my control. Also started adding material on the The Eddy Go Round Show special in 1976. Woohoo! I'm finally done with the review of the 1981 BBC Cliff series on the TV series page. It was a long, hard review, but it's finally done. Now I realize I missed a few of the 1970s specials-- the Eddy Go Round show and the Seaside Special specials-- so I'll be going back to add those to the page before moving on to the later 1980s shows. These TV series and specials have been quite the challenge, but I'm glad to be getting a handle on them. Special thanks to Brian for helping with the TV guest appearances page as I've been doing a lot of updates there (too many to mention here). I just got my hands on a nice bootleg called From Your Station of The Stars 1960 - 1961 that has many of the Radio Luxembourg recordings. It can be found at Leo's Den and comes highly recommended at only 10GBP. As a result, I added and rearranged many of the tracks in the database at 1961 - #177 to #207. Very nice! It is a great document of the radio broadcasts, but I wish there was more information provided, even photos of the acetates from which the compilation was drawn. Hey ho! Another small update: I added the USA single edit for the song Try A Smile (1977 - #8). It's an odd little edit that simply removes a chunk of the end of the song. Meanwhile, work continues on the 1981 Cliff series on the TV specials page. I'm about halfway through, but it's a slow task as these have been documentary style so it's a lot of research. I've also been making a lot of updates to the TV guest appearance page, but it's too many to mention here. (Thanks, Brian!). Hi all! I've been hard at work adding the 1981 Cliff TV series/documentary/special (not sure what to call it yet) to the TV page. In doing so, I noticed something peculiar. The Tribute To The Legends medley is heard in the documentary, but it is broken up into a couple of segments. When comparing this to the track on the 1994 All I Have To Do Is Dream single (as a bonus track on CD1), I noted that the medley, as tracked and listed on the cover, includes Gee Whizz It's You at the end. However, Gee Whizz It's You is clearly not part of the medley! Why they did this, I don't know, but I find it very odd. So I've split Gee Whizz It's You and Tribute To The Legends into two separate listings in the database (1981 - #30 and #36). Another quick one... I changed the It's Cliff & Friends song Big Wheel Blue to Big Wheel Fool (1976 - #24). This makes more sense as it's used in the song and looking at Cliff's lip movement during the video of the performance, I believe this is to be the correct title. Still no information on the songwriter. Just a quick one. I was doing research on Cliff's performance of Run Billy Run on a 1975 episode of Jim'll Fix It and, at least according to everything I can find about it (as it's not available for review), the actual transmission date was July 19 (not July 9 as I had it) and it's not really a Cliff song at all. It's a Shadows song and Cliff added backing vocals only for this TV performance. As such, they joked about introducing the group as The Shadows and Cliff Richard, which is backwards from how it would normally be listed. Because of this, I switched it and corrected the date in the database (1975 - #19). I'm still plugging away at the TV series page. I just started working on the 1981 Cliff special/series (which is it?) for the BBC. This one's going to take a fair bit of work because it's done documentary style with lots of short clips and interviews all interweaved. Hi all! I know it's been a while, but I've been away from the computer for a while. I'm back now. I've made a few adjustments to the TV specials page, completing the entry for Cliff At Chichester in 1980 and just about done for Cliff In London in 1981. These TV specials should be much easier now that I'm in the 1980s, although the upcoming Cliff specials from late 1981 may be a bit of a challenge as they are done documentary style. Stay tuned. Meanwhile, I made a minor adjust ment and moved the recordings of Honky Tonk Angel from 1975 to 1974 (1974 - #24 & #25). I felt this was necessary because I'd mistakenly put it in 1975 because that's when it was released and when the B-side was recorded. Perhaps I thought the 1974 date was in error? Anyway, I verified the date and felt I should move the song. Interesting that the song was apparently recorded well over a year before release as a single. I wonder what took so long. I added several tracks to the main database of tracks that Cliff performed on the late 1970s TV specials. These include tracks from 1976's Soviet Union produced Gastroli Cliffa Richarda v Leningrade as well as tracks from Gouden Zeezwaluw-Festival and Mu in 1977. These are in the database at 1976 - #59 to #64, 1977 - #22 to #36 and 1977 - 46 to #63. Small thing, but I moved the previously unreleased Sweet Lovin' Ways to the Take Me High sessions area. I'd had it separate and I realized it was part of those whole sessions. (1973 - #30). So I just added Cliff's performances from the 1973 Morecambe & Wise TV show that's been released on DVD. These included Saturday Night At The World, Living Doll (a short comedy version that was already in the database), and The Fleet's In performed with Morecambe & Wise (1973 #8 to #10). These were released on DVD in 2010 and I just now got them added to the database. There's a few more TV show releases on DVD that I will get to as soon as I can properly review them. Added information on Cliff's new German only single, Schmetterlings-Küsse (at 2014 - #3). This one was a bit of a surprise release! Unfortunately, it's currently only available as a download only for German users. Fans outside Germany can't legally download the track. I did a re-review of the Together - Cliff Richard & The Shadows 1984 video performances. Not much changed, but I did at the Drum Intro that started the concert and the We Don't Talk Anymore (Reprise) that closed the show that I had neglected before (1984 - #10 & #34). I also added Cliff's performances of With The Eyes Of A Child, Take Me High and Sing A Song Of Freedom from a January 1, 1974 performance on Sunday Night At The London Palladium (1974 - #1 to #3). I added this because it was actually released on DVD! There's a few other TV shows released on DVD and I'll be adding those too soon. I finally got the new Engelbert Calling CD in hand and have added it to the database. Interestingly, it turns out that the Since I Lost My Baby track on the album is about 20 seconds longer than the promo CD single. So that's a new variation. Both are in the database at 2014, #1 and #2. In addition, I did a rereview of the Time Machine Tour - 50th Anniversary DVD tracks and tweaked the data a bit. The most notable is that I combined the entries for Bachelor Boy and The Next Time into a combined track as they are performed together (although almost the complete song is performed for both of them) and I added entries for bits of the rehearsals heard in the bonus material (Move It, All I Have To Do Is Dream and Suddenly. This starts at 2008 - #9. Finally, in looking at Cliff's TV shows and specials material, I now believe that Cliff had nothing else for the 1970s at all. I found a gospel concert he did for Tear Fund called Flip Side in 1978, but I can find no record of it ever actually being broadcast on TV and now believe it was something he filmed for Tear Fund to use as promotional material only. If anyone can confirm it on TV, let me know. I also find no information on Cliff doing any TV specials for 1979 at all. So now it appears that I'm finally done with the 1970s! Well, except for the 1972 series audio which I still don't have in hand. Unless and until I can get that, I'll be moving on to the 1980s soon. I still haven't been able to do the updates as fast as I'd like, but I'm still working on things when I can. I did update the UK singles page to list the reissue download singles of She's So Beautiful and Born To Rock 'n' Roll in 2012. I'd missed those the first time around. And I finally got the information done on the TV series/specials page for the 1978 Thank You Very Much special. This one took a bit of work because it was done in documentary style with lots of little things to analyze. Still wish I knew what that apparently royal performance from the 1960s was taken from. I still don't have the new Engelbert Humperdinck album in hand. Hopefully soon. I understand that the version of Since I Lost My Baby on the album and the promo CD single are slightly different, so that'll be a new entry. More soon. Just another minor update. I added a mono version of Power To All Our Friends that is found on the USA promo single (1973 - #2). Quick update: I just changed the medley in the entry for The Case TV show to include the Chuck Berry song Rock And Roll Music (1972 - #100). It's interesting how often this song in this medley gets missed. I haven't had many updates lately due to a heavy work load, but that's over for now and I should have more updates soon. I got more information on the new album with the Engelbert Humperdink and Cliff duet on his album Engelbert Calling and added it in the song details as well as the new page. Also added Amazon links to order it on CD. I also corrected the rock medley on the Cliff "Live" In Japan '72 album as it omitted the Chuck Berry song Rock And Roll Music as a son performed as part of the medley (1972 - #91). It's probably easy to understand why the song was omitted. In the medley, Cliff sings only a very short portion of the song Good Old Rock 'n' Roll before seamlessly seguing into Rock And Roll Music. The songs are so similar in not only title, but melody and energy, that it was probably missed when the album was first put together and on all reissues. Well, I got the rest of the Gouden Zeezwaluw-Festival Concert show on the TV series page. There's only a handful more of the 1970s era TV shows to go so expect those soon. The person that promised me the audio of the 1972 series has also responded and says they'll send that soon so if and when I get it in hand, I'll be enhancing the 1972 series entries as well. I'm eager to finally get through the 1970 shows, but I'm determined to get them as complete and accurate as I can get them. In other news, I think the mystery of the original mock stereo version of Willie And The Hand Jive is finally solved. The true mock stereo version appeared, as far as I know, only on the 1974 box set The Cliff Richard Story. That appears to be the first and only appearance of this version and this mock stereo release was mixed to mono and that is what has appeared on all releases since (until the 2000s when alternate versions and the stereo version were released). It seems that Willie And The Hand Jive has a bit of a tortured history when it comes to releases and one of these days it may warrant an in-depth song analysis. I got a lot done today! I added links to Amazon for audio samples for all the Fabulous Rock 'n' Roll Songbook tracks. Somehow that task fell through the cracks of my to-do list, so that's finally done. I also added all the songs for the Still Reelin' and a-Rockin' - Live in Sydney DVD (2013 - #1 to #32). I've still got some of the detail to work out, but at least they're in the database now. And I also added some information on the main page and in the database for the new Engelbert Humperdinck duet with Cliff of Since I Lost My Baby (2014 - #1). Whew! Hope everyone had a good Christmas and New Years! I'm finally getting back into gear on the database and finished adding details for the Cliff Richard Gospel Concert to the TV series and specials page. Although this show is available in full, the accuracy of the date and TV broadcast remain in doubt. Anyway, I hope to ramp up and get a lot more done on the site in the coming weeks. I still need to add Cliff's Cliff Richard: Still Reelin' and A-Rockin' - Live at Sydney Opera House DVD. I've been doing an analysis of it so should have it up very soon. I finally got the new The Fabulous Rock 'n' Roll Songbook album in and have added all the pertinent information to the details in the database. I still don't have the Cliff Richard: Still Reelin' and A-Rockin' - Live at Sydney Opera House DVD in, but when I do, that's going to take a bit more work to dissect and get into the database. More on that as it happens. The new album it great, by the way. Love to hear Cliff doing rock 'n' roll! In other news, I still don't have the audio for Cliff's 1972 TV series so I'm just moving ahead. I just added the details to the TV series and specials page for Cliff's 1976 Soviet TV special Gastroli Cliffa Richarda v Leningrade. Amazing that this special survives from that time. I just wish the full concert were available as it was a great band. Finally, I corrected in the main database that the songs (They Long To Be) Close To You and The Minute You're Gone from Cliff's 1971 series was actually a medley of the two (1971 - #9). I'd had it right on the TV series page, but not the database page. It's corrected now. I finished my re-review of the It's Cliff & Friends 1976 series and added entries for Cliff performing I Can Sing A Rainbow and Granada (1976 - #27 & #28). Otherwise, nothing really new from this. I still have yet to get the audio recording of the 1972 series, so that project is now on hold. I was really hoping to get this done, then I was going do a complete overview analysis of his 1970s series. But that's on hold now. I'm going to move ahead with the rest of the TV specials. This should hopefully go much faster as the analysis won't be quite as intense for these. The new album will be in hand soon! I'm excited as I've always preferred Cliff as a rock 'n' roller. I'll add all the details as soon as I have (and the new DVD) in hand. Just a few minor updates. I changed the artist for the TV performance of The 59th Street Bridge Song (Feelin' Groovy) from just Cliff to Cliff and Hank Marvin (1969 - #86); and the artist for the TV performance of What D'You Know, We've Got A Show & Vaudeville Routine from just Cliff to Cliff, Hank Marvin, Una Stubbs and Sheila White (1969 - #88). This had merely been an oversight before. I also removed The Joy Of Living (Intro) from the August 31, 1970 TV performance (was 1970 - #105) as it was determined that this and all the intros used for the 1970 It's Cliff Richard series were all the same recording and was not unique at each performance. In other news, I'm working on the 1976 It's Cliff & Friends material and hope to have a few minor updates soon. My promised copy of the 1972 series has been delayed so that re-review will have to wait until I have it in hand. If I don't have it by the time I'm finished up with the 1976 series, I'll continue on to remaining 1976 specials and later. Also, as soon as I have The Fabulous Rock 'N' Roll Songbook album in hand, I'll add the details from the liner notes for it. The database entries for the songs from Cliff's 1970 It's Cliff Richard series were cleaned up (1970 - #13 to #71). This was a result of my recent acquisition of the audio for the series and fix up the TV pages. Changes are too numerous to mention here, but most of it involved correcting the guest artists and a few song titles, as well as adding all the running times. Most important-- it was noted that the 30 second intro version of The Joy Of Living used to open most shows was an original recording (probably recorded especially for the series) that was reused for each show's opening. Therefore it only gets a single entry in the database (1970 - #13) as all others are the same. I hope to do a bit of cleanup on the songs for the 1971 series next, although it shouldn't be as labor intensive. I'm still waiting on my copy of the audio of the 1972 series which will be the next big thing I work on. Figuring out the details on these TV songs is getting a bit tedious, but it's got to be done as they are otherwise so poorly documented. Made a few changes to the tracks for the "On The Beach" concert (Albufeira, Portugal - August 20 2004). After another careful review of the official release on DVD and a bootleg recording, it was concluded that In The Country was not actually performed at the concert so it was removed and and instrumental reprise of We Don't Talk Anymore was missed (although still not on the official release. Small update: I moved the song Leave My Woman Alone (both mono and stereo) from 1970 to 1968 (#111 and #112) to reflect when it was originally recorded. I'm not sure why I had it in 1970 in the first place, but it was probably because that's when it was released. I added some quotes from the 1967 biography of Cliff called New Singer, New Song written by David Winter. Nothing too new, but kind of interesting to see the perspective of things back in the 1960s. To read them, do a search on the database for "New Singer" and be sure to include the "Include Detail Information" checkbox. I'm still reviewing the audio for the 1970 TV series, but hopefully it'll be done very soon. Interesting to note that David Winter was the screenwriter and co-composer of the Life with Johnny television series. Vic. Hi all. I finally got the image and links for Cliff's new album, The Fabulous Rock 'n' Roll Songbook up on the main page. I'd been on vacation (or holiday as the Brits call it) and only just now got to it. I also added the tracks to the database in anticipation of release, although details such as running times, musicians and song samples are still not yet available. I'll fill this in as it becomes available. I suppose I should add the tracks for the upcoming DVD too, but I want to get a final tracklisting for it first. I also added details for the just released reissue single (download only) of the long version of We Don't Talk Anymore (1979 - #15) including an Amazon link to download it. This version was previously only available on a Holland 12" single and a promo USA single. Okay, so I finally decided to officially remove the Cliff Live In Korea album from the main database. There is just overwhelming evidence that this is a bootleg release, therefore it does not belong in the main database. I'm keeping all my notes on it as I might use it later on when (and if) I do some pages on bootlegs and/or tours. The affects 1969 - #102 to #119. I also cleaned up and adjusted the tracks for the 1975 It's Cliff & Friends show, including correcting some song titles and such (1975 - #22 to #32). This is, of course, as a result of my TV analysis work. More to come on that. "(and if) I do some pages on bootlegs"
This would be cool as their are plenty to trip us good folk up! Well, I finished the first pass of the 1970 It's Cliff Richard series audio. My next task is to fix things (running times, cast, etc.) in the main database for these tracks. Speaking of the main database, I also changed the default setting for the song lists such that the variations are shown, instead of hiding on initial entry to the pages. I found that I personally *never* wanted them hidden be default so I suppose others were the same. It doesn't look at clean, but it's a lot more useful, I think. I've also found some notes on the 1970 Cliff Live In Korea LP that details a lot of the performers and details. I'll be updating all this shortly. Still, I'm 99% sure now that this album is actually a bootleg, taken off of a TV broadcast. So it should technically come out of the database as an official release. Perhaps it should also go on the TV page if it's really from a TV broadcast. I'm going to consider this for a bit and come to a conclusion about it, but ultimately I'll probably remove it from the main song listing. What a twisted, sordid history for this recording! Finally finished going through all the Dave Clark's Time tracks. Added the remaster album version of It's In Every One Of Us (1986 - #15). This one is basically the same as the original album, but it cuts the Laurence Olivier speech at the end. I've also been re-reviewing the 1970 It's Cliff Richard TV series for the TV page based upon the new recordings I've obtained. It's mainly just filling in some of the blanks, but also correcting a few small errors. As soon as this is done, I'll be putting things right in the main database as well. Stay tuned. Added the remaster single version of She's So Beautiful (1986 - #7) that was released in 2012 in digital form only. This is the same as the original single version, but for unknown reasons, it fades much earlier. The remastered album version is the same as the original album version. I'm still working on updating the 1970 It's Cliff Richard TV show material on the TV Series page, thanks to the recent bootlegs I got. This seems to be going a bit faster than expected, which is good. As soon as I get through it all, I'll make some fine tune adjustments to the database then move on to 1971. Added the remaster album version of Born To Rock 'N' Roll as found on the 2012 remaster of the Dave Clark's Time - The Album album. When this album was remastered, several of the songs were altered compared to the original album version. Oops! I've been doing a major review of all the Dave Clark's Time - The Album tracks and will be tweaking and adding to them all in the database shortly. I've also been relistening to the Cliff and Tony Rivers interviews on Jeff Bleiel's sadly now defunct Wired For Sound radio show. I hope to be extracting several comments from these interviews to add to the database soon. Also still working on the TV page stuff-- mainly some behind-the-scenes analysis to help me add the tracks to the main database. More as it happens on that. Moved the song You Never Can Tell from 1970 to 1968 (#121) so that it resides with the other songs that were recorded at the same session. The song simply got a delayed release, just as the others (If I Do and Note In A Bottle). Well, the TV Series and Specials page is now done up to the end of the 1976 series. Hooray! I may pause on this project a bit so that I can re-review the 1970 and 1971 series based upon the new bootlegs I've recently obtained, then I'll tweek up those entries and maybe write a little blurb at the top of the page about Cliff's series in general (how they changed over time). But have not fear. The project is ongoing. The new song analysis page for Daddy's Home is finally done! It can be viewed HERE. I really like doing these song analysis pages and hope to do many more in the future. Enjoy and please let me know if you notice any errors. I could use more images of pertinent material too! The Daddy's Home analysis page is just about ready. I've got a few minor tweaks to finish it up. Lots of interesting stuff found on the song. I love doing these song analysis pages! Added a blurb and order links on the main page for Cliff's upcoming DVD/Blu-ray releases from the Sydney concert. No news yet on if and when his upcoming rock 'n' roll album is to be released. The DVD release is November 11, 2013. Removed The Shadows as performers on the following 1967 Good News album tracks: We Shall Be Changed, Go Where I Send Thee, Mary What You Gonna Name That Pretty Little Baby, Get On Board Little Children (1967 - #50, #51, #54, #55, #64, #65, #70 & #71). I got independent verification that The Complete Chronicles was in error when they listed The Shadows as performing on these tracks. In addition, work continues on the TV pages. I just keep chipping away at it a little at a time. I'm also starting on an in-depth song analysis of Daddy's Home, but that's just in the infant stages right now. That'll be keeping me busy when not working on the TV pages. The new advanced search features are now implemented! Check out the "Search Tips" in the search box to learn the new features. Hopefully it'll help narrow down the tracks you're looking for. Still slowly adding TV show information on the TV series and specials page. It's a slow and steady process. I'm on the 1976 series at the moment. I also recently recieved from another fan on CD the (supposedly) complete audio recordings of the 1970 and 1971 series which I'd not known existed before. As soon as I finish off the 1976 series, I'll go back and review these 1970 and 1971 audio recordings and fix up the database accordingly before moving on to the post 1976 items. The CDs are not marked, so it's going to take a little time to review and get them all organized. Meanwhile, I did get the Cliff In Berlin DVD and have had a chance to review it as well. It's a straight copy of the TV broadcast. Although it doesn't really offer anything new, it's nice to have this on official release and the picture and audio quality are top notch for a 43 year old recording! I've added information on it to the database. I haven't updated here in a while. I've been busy with life, but I've still managed to do a few updates on the TV pages. I just got the "Cliff in Berlin" DVD in, but haven't had a chance to watch it. Reading the description on the back, it's clearly the TV broadcast. I'll be watching it soon and seeing if they added anything else. Removed the Brian James song It Just Happened That Way (1968 - #16). It turns out that this is a cover version of Cliff's I Love You So from the 1960 Me And My Shadows LP, but Brian changed the name of the song on his single. So it's really a cover version and shouldn't have a separate entry in the database. (The song is on YouTube at the moment if you want to hear it). I also removed it from the special UK singles pages (page 3). Yes, I noticed this in the YouTube video. Good luck to him as it's a nice performance. Changed the title of the entries for It's No Secret to the correct It Is No Secret (1966 - #20 & #21, 1967 - #48 & #49). In truth, the true name of the song is a bit tricky. The song was written and released by Stuart Hamblen. He released the single under the name It Is No Secret and sheet music under the name It Is No Secret (What God Can Do). It's been released by several other artists under the name It Is No Secret so that is considered the most correct. The menu navigation menu problem has been completely corrected. If anyone notices any problems with the menus, let me know. And the 1975 shows are done for the TV page. Working on the 1976 series not. Interesting that the 1975 It's Cliff & Friends was only two episodes, recorded at the same time. The final analysis for it isn't done yet, but it appears to be almost a sort of pilot episode (or pair of them) for the 1976 series. I'm still working through the TV pages and finding some interesting things about the 1975 series. Meanwhile, I found a peculiar bug. I recently was able to view the pages in Internet Explorer 10 and noticed that some of the navigation menus (the hover functions) don't work correctly. It works fine in older versions, Safari, Firefox, and the Droid browser, but not IE10. Grrr! I'm also a little concerned about how the hover functions will work on some tablets that don't have a mouse or mouse-like ability. So I'm tweaking how the menus work a little bit. I would rather spend my time on more substantive things on the page (like the TV pages), but I need the navigation to work as well. Added back the Radio Luxembourg song Quarter To Three (1963 - #8) as it was confirmed that Cliff really did sing the song at least one Radio Luxembourg performance. Thanks Chris! As always, willing to help. Added a mention of the upcoming Cliff In Berlin DVD to the main page. I'm assuming this is a copy of the TV show of the same name. There were actually two different versions of this TV special, so I'm curious to see which is on the DVD. Removed the Radio Luxembourg song Quarter To Three (was 1963 - #8) as it is fairly certain this is a Shadows only song, no Cliff. What!? Are you saying that Cliff *did* sing on at least one performance of Quarter to Three? If so, I'll have to add it back to the database. This is a Shadows vocal song. However, on one of the Lux performances they played together. I just added the songs for Cliff's 1975 BBS In Concert recording (1975 - #13 to #20). I also removed the Radio Luxembourg song Johnny Otis Hand Jive as it's confirmed that this is the same as Willie And The Hand Jive. It was at 1961 - #196. Once again, The Complete Chronicle got sloppy. I may add this an other already-released-studio-tracks from Radio Luxembourg in the future. I just need to find the time to properly review the radio recordings (I'm busy working on TV now) and see if I can find a relatively complete listing somewhere. But for now I'm leaving it off. Kind of a quick update here. I've changed the Radio Luxembourg song Hey Everybody to (Dance With The) Guitar Man (1961 - #187). Seems that The Complete Chronicles got the song title confused due to the prominent "hey everybody" lyric in the song. Also, I've finally started adding the 1975/1976 series on the TV page. It's very, very rough right now, but I'll start filling it out as time goes by. I'm still trying to sort out if this is supposed to be the same series with a long break or different series with the first being a very, very short run. Oh, I just realized I still need to add the In Concert songs to the main database! Let me do that first, then I'll move on to the 1975 series. Added some of the movie versions of songs from Cliff and The Shadows' Finders Keepers movie. Believe it or not, I hadn't seen it until recently. I'd been led to believe all the tracks were the same as their album counterparts, but that's not always true for all songs. Therefore I added entries for the movie versions of Finders Keepers (1966 - #24), Time Drags By (1966 - #27), Oh Señorita (1966 - #34) and Spanish Music/Fiesta (1966 - #38). As time permits, I'll be adding movie versions of the later films as well if any variations exist. I also added the barebones information for 1975's In Concert on the TV page. I'll fill out the detail soon. Quick update. I changed the Unknown Cherry Wainer duet from the Saturday Spectacular TV show from "Unknown" to the supposed title Do You Remember When We Worked On That TV Show? (1960 - #125) as more details were discovered. (Thanks Chris!) I also added the studio recorded version of Stable Child (1997 - #47) as found on the Tinsel And Truth VHS tape. (Thanks Brian!) Some details about this videotape are a little unclear such as whether there was a UK release and/or the exact release date. More details as I can find them. Just about got the Cliff In Copenhagen special added to the TV special page. Just a few more bits to add. This special is all mimed, so nothing to add to the main database. Yeah, this was a difficult one to research. Clearly the documentary was British (accents, themes and, of course, Cliff). I got the video, which was clearly American because it played in my VCR. I suspect that this was from some sort of TV broadcast in the early to mid 1990s and it got release on videotape in America, then the UK. If you have more details on it, that'd be helpful. Tinsel And Truth was released in the UK on Viz-A-Viz label in 2000. There'll be a slight delay in adding Cliff's 1975/1976 TV series. I just found that there were a couple of specials that aired before the TV series, called "Cliff In Copenhagen" and (I think) "In Concert". I'll add these first, then I'll start on the TV series. Well, things went faster than I'd expected and I have now completed and adjusted the songs in the database for Cliff's 1974 It's Cliff Richard TV series (1974 - #26 to #91). Hooray! With that done, I few small behind-the-scenes things to finish up and then I'll be moving on to the 1975/1976 series. I'm still working on the Finders Keepers tracks too, but that's another story. I know it's been a while, but I just wanted to give an update that I am working on things behind the scenes. After finishing off the 1974 TV series for the TV Special and Series page, I'm taking another review of things and am busy updating the main song pages, making various corrections and such. This will be revealed soon. I'm also working on tidying up the entries for a few other early 1970s TV series too, such as Get Away With Cliff and The Case. As soon as this is cleared up, work on the 1975/1976 series will begin. Independently of this, I've also started taking a hard look at the Finders Keepers film and looking at the film versions of the various songs in the film. I'd not seen the film and was of the understanding that all songs were the same as the album. The film is now available on Netflix (America) and thanks to this I've finally given it a good watch and noted the differences. I also recently acquired His Land on DVD so I think I'll be addressing all the film versions of song in Cliff's post-Wonderful Life films too. Changed and cleaned up the tracks for the 1964 Royal Variety Performance in the database (1964 - #154 to #156). I'd been missing The Twelfth Of Never and Where Did Our Love Go was in without The Shadows. All fixed up now. The change of the menu from the side to the top is done. Lemme know if you notice any problems with the new format. The tracks from the Let Me Tell You Baby... It's Called Rock 'n' Roll! have finally been added. It was a bit of a challenge because although the compilation is very detailed in the liner notes, they don't really describe which song is from which session. So I had to do some digging and cross-referencing to get it all straightened out. Tracks added and/or modified are 1958 - #32 to #37; 1959 - #52 to #61, #80 to #84, #118 and #119; and finally, 1960 - #127 to #132. Whew! Great collection and I'm certainly pleased to have it. Also, I'm changing how the site navigation is done by moving the menu from the side to the top. I've started with the main song pages and hope to have the rest of the pages finished in short order. Please let me know if you encounter any navigation problems. Ah! You're right! I see it now. In the Session File section at the end of the book, the list the CD catalogue number and the track number. I had been overlooking that, thinking it was some sort of BBC or tape code. I guess they weren't too clear on it as I know several others that missed it as well. Not that I'm complaining. It's a fantastic collection and I'm very pleased with it! Very impressive and a lot of hard work obviously went into it so I don't want to denigrate it at all. I'm sure you've already had a response but there is a section in the booklet that cross-references the CD tracks within the chronological sequence of broadcasts, including those recordings that no longer exist. Hope that helps. Vic. Good news! I finally finished my review of Cliff's 1974 TV series on the TV page. I'll be adding/correcting the songs from this series on the main database pages soon. Then I'll move on to the 1975/1976 series. I also finally straightened out the confusion with the song Where Is Your Heart on the 1965 Look In My Eyes Maria EP and "unreleased" song The Song From Moulin Rouge. They are the same song, just known under two different titles. The correct title is The Song From Moulin Rouge, but somewhere along the way it became alternately known as Where Is Your Heart and that's how it was credited on the EP. So I removed the "unreleased" version (1964 - #103) and changed the entries for Where Is Your Hear (1964 - #79 & #80) to the correct title. I'd actually known about this mixup for a long time, but only just now got around to addressing it. I'm still in the midst of reviewing the Let Me Tell You Baby... It's Called Rock 'n' Roll collection. Great stuff, but I sure wished they'd identified which songs on the CD were from which broadcast. I'm having to carefully cross reference everything to figure it out. I think I'll put the legend on a sticky note and leave it in the CD for future reference. As soon as I get it all sorted out, I'll add it to the database. So I got the Let Me Tell You Baby... It's Called Rock 'n' Roll CD for Christmas. Hooray! I haven't had time to listen to it yet, though. I'll begin a review soon. I've listened to CD1 and was very impressed by the quality and the two previously unavailable tracks. Just did a quick add of an undubbed version of I Wonder that I recently discovered (1963 - #24). It's missing the usual orchestra and backing vocals. I'm still slowly working on the 1974 TV series for the series and specials page. Sorry if I've been kinda slow at it as I've been distracted by a few other things... and Christmas is fast approaching too. The USA single mix of Devil Woman has been adjusted on both the main database (1976 - #48) and the song analysis page. What an interesting discovery that was. I'll be adding some sound samples shortly to demonstrate how they are different. I was busy over the Thanksgiving (US holiday) weekend. First off, I finished reading and extracting data from the Cliff biography by Steve Turner. All the little bits are in the song comments except for The Millennium Prayer which I still have to do. Should be done shortly. Some updates were done to the Bachelor Boy song analysis page. Mostly I added the song entries that were released on DVD and video that weren't there before, added a few more photos, and added more detail about the 2009 Reunited version. I've started on updates for the Devil Woman page as well and I've made an interesting discovery about the remix of this song. Originally it was attributed to a Keith Bessey remaster and appeared on the 1989 40 Golden Greats CD. I've since discovered that it's actually the 1976 USA single version of the song! I'll be updating the page and the main database to reflect this new information as well as adding samples. What a cool discovery. I like these song analysis pages and I'm thinking about doing one for Daddy's Home some time soon. As for the TV specials page... I've added some stub information for the 1974 series. I'll be filling in the detail for that shortly. Thankfully I have the complete series on video (computer files) for review, so I can get some good detail. I think some of the videos may be incomplete, but I need to give them a good review first to know for sure. Finally added the new Olivia Newton-John and John Travolta track with Cliff contributing vocals. I don't own the CD yet (it's on order) so some of the details are a bit uncertain. From what I've seen, the song is listed as being by Olivia and John Travolta and "feat. Cliff Richard". I'm not sure what that means yet, but I'm assuming it means he adds some vocals at some point. The Amazon sample has Olivia and Travolta only, no Cliff, so it's probably only a small part for Cliff. More details will be added when I get the album in hand. I also added an alternate stereo version of All At Once from the Summer Holiday album. I figured I'd added it since the mix that appears on the 2003 remaster album has a significantly differnet version. In particular, the trumpet solo which was originally mixed to be in the right channel only, was moved to the center (both channels) for the 2003 remaster. That may be minor to some, but I believe it's significant enough to warrant a separate entry in the database. Well, I finally finished the Amazon links! Yeah! It was long task, but hopefully this will help people hear samples of songs on demand and purchase things they find of interest. I'm still working on the TV specials page. Thankfully I have the entire 1974 TV series available for review (although it's a shorter series than the prior ones). This is another long term project. Short term, I'm trying to do a bit of cleanup on the Bachelor Boy and Devil Woman song analysis pages. I made an interesting discovery about Devil Woman which I'll be addressing soon. Just FYI, the Let me tell you baby... it's called rock 'n' roll collection has been delayed by a week or two. I've also fixed the Amazon link on the main index page as when I first set it up, Amazon didn't have it available. What am I working on now? I'm still working my way through Cliff's TV series and specials. The process has been to analyze the series one year at a time, being very careful to get it as perfect as I can get it. So right now I'm working on 1972. I've just about got the 1972 It's Cliff Richard series done, with just a few minor things to finish up. Unfortunately, I do not own this series in any bootleg format, video or audio, so I can only rely on what others have been able to tell me about it and various research. After this, I add The Case from 1972, then I'll be sure all the Cliff songs are in the database proper. I'm also still adding links for Amazon (and other where appropriate) places to hear and purchase the various the songs and releases listed in the database. This is just about done as I'm about halfway through the 2000s. Slowly but surely, it's getting done. It's been a bit dull, but I hope people enjoy the easy method to find this material. Thanks for the new "News" page. Hello and welcome to the Cliff Richard Song Database. I am starting this "news" page as a more informal way to show what I'm doing on this site. I'm always doing something, but perhaps it's these little tweaks and bits of research that you might be interested in. This is going to sort of be in a blog format, but I wouldn't really call it a blog. It's just me trying to give updates on what I'm doing for this page. Besides, I hate the word "blog". It's just some made up word that sounds like someone losing their lunch. :-) This page will supersede my "changes" page, which is archived below. I won't necessarily be adding new news here, although I might on occasion if something big breaks. I'd recommend The OFFICIAL Cliff Richard website or Leo's Den Music Direct for the latest and greatest in the world of Cliff Richard. Cliff also has a Facebook page. So I hope you enjoy my site and find it useful. Any comments or suggestions for improvement, please contact me.